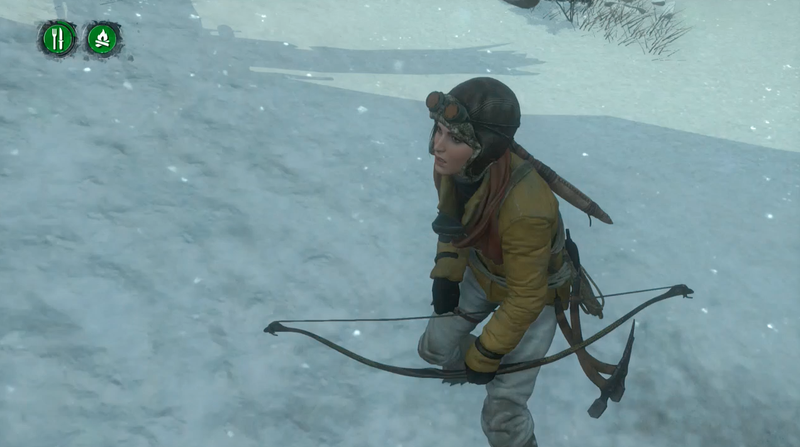 Lara Croft really didn’t have to worry about eating or staying warm in the main portion of Rise of the Tomb Raider. Oh, she got cold sometimes but you knew it wasn’t going to kill her. But, in the new Endurance add-on for her latest game, Lara Croft can freeze to death or die if she hasn’t eaten for a while. Like she doesn’t have enough to worry about. Debuting today as a $10 extra, Endurance Mode doubles down on the scavenging aspect that’s one of Rise of the Tomb Raider’s main mechanical pillars. The new mode drops players in the game’s harshest environments with scant resources and forces them to keep Lara fed and warm while also trying to hunt down as many artifacts as she can. Wolves, bears and armed human enemies are still in the mix, too, all of which means that Endurance is the game’s toughest challenge so far. You can see the basics of the mode in the tutorial above. Essentially, food and warmth act as separate timed resources that need to be periodically replenished. If either one of them runs all the way down, then Lara croaks. You still need to harvest the resources for weapon ammunition as well, making the whole affair feel a lot more tense than usual. As with the other missions available in the Expeditions menu, you can use cards that change up specific variables to make things different each time you play. I definitely found myself playing it too safe in my first Endurance expedition. Instead forging out bravely in search of crypts, artifacts and enemies to take out, I kept on looping back to the shelter I found to light a fire and keep Lara warm. I knew that there were other campsites and structures that would help keep her alive but wasn’t sure I’d keep her viable enough to make it to one of those. I had fun with my first quick taste of Endurance Mode today and wasn’t even nauseated at the idea of one of gaming’s most iconic characters chomping down raw squirrel meat. Go, Lara.